Jeremiah Brown was born on 15 May, 1836 in Upper Canada to George and Esther King Brown. He was christened on the 31st of July 1836. Source: Anglican Diocese of Ontario, Kingston, Ontario, 2-A-1 Ameliasburgh, Brown, Baptized: Jeremiah son of George Brown of the Township of Simy & of Esther his wife, born 15th of May Inst. was publicikly baptized this day 31st July 1836, John Grier___________, Geo. Brown and Mrs. J. Brown Sponsors. This places George and Esther Brown in Prince Edward County in 1836. I have suspected that they had been living there. 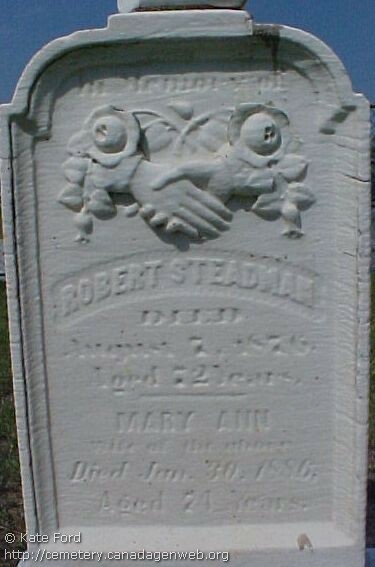 Jeremiah married Elizabeth Steadman about 1868 based on the birth of his first child George. She was born 3 May, 1844 in Ontario to Robert Steadman and Mary Ann Oliver. Robert was born about 1801 in Wexford Co., Ireland and Mary was from Devonshire, England. The above pictures of Robert and Mary Steadman are courtesy of the family tree the Cunninghams of Sudbury at Ancestry. Robert and Mary’s tombstone on Churchhill and Plow Match Roads in Lambton Co., Ontario. Elizabeth came from a very large family of Irish and English descent. According to the 1861 census they were living in Plympton Twp., Lambton, Ontario. Jeremiah appears in the 1861 Canadian Census with his father, mother and siblings. They are living in Plympton Twp., Lambton Co., Ontario. This implies he is on his own but close to the family in some manner. Line 12, Jeremiah Brown (not Jesse), Farmer, born Upper Canada, Church of Eng., age 25 male, single, log house, single story. Jeremiah is living in Plympton Twp. in Lambton Co., Ontario in the 1871 Canadian Census and he is married to Elizabeth and has several children. Source: Jeremiah Brown Family, 1871 Canadian Census, Plympton, Lambton Co., Ontario, pg. 52, Dist# 4 Lambton, SD #Div No. 1. Line 1, 170, 174, Brown, Jeremiah, M, 32, born O, English C, Irish, Petroleum Oil Refiner, M. Brown, Elizabeth, F, 26, born O, English C, Irish, M. Brown, George E, M, 3, born O, English C, Irish. Brown, Mabel, F, under a year – July, born O, English C, Irish. Source: Jessey Brown Family, 1881 Canadian Census, Wyoming, Lambton Co., Ontario, Dist #179, Wyoming Village, pg. 10, enumerator [A. H. Hunt]. Line 19, 48, 48, Brown, Jessey, M, 43, born O, Ch of E., all Irish, Carpenter, M. Brown, Elizabeth, F, 33, born O, Ch of E, Irish, M. Brown, George, M, , born O, Ch of E. Brown, Mabel, F, , born O, Ch of E. Brown, Albert, M, 6, born O, Ch of E. Brown, Wm. M, 4, born O, Ch of E.
In 1891 they are still in Wyoming. Source: Jeremiah Brown Family, 1891 Canadian Census, Wyoming, Lambton Co., Ontario. pg. 24, Dist# 82 West Lambton, SD Village of Wyoming, 16th of April 1891. Line 6, W 2/7, 130, Brown, Jeremiah, M, 53, M, born O, Father and Mother Ireland, C of E, Tank Maker, one employee. Brown, Elizabeth F, 47, W, born O, Father Ireland, Mother England, C of E, Brown, George, M, 23, S born O. Brown, Mabel, F, 21, S, born O. Brown, Albert, M, 16, S, born O. Brown, William, M, 13, S, born O. All listed as O for birth and C of E.
We find Jeremiah and Elizabeth living in Wyoming in the 1901 census, he says he was born in 1867 not 1866. Source: Jeremiah Brown Family, 1901 Canadian Census, Wyoming, Lambton Co., Ontario. Dits, 79, Lambton (West), SD G-2, John B. [I… d] April 16-17, pg. 9. Line 10, 101, 101, Brown, Jeremiah, M, Head, M, 18 May, 1837, 63, Ont., Irish, Canadian, Eng., Carpenter. Brown, Elizabeth, F, wife, M, 3 May 1844, 56, Ont, Irish, Canadian, Eng. Brown, Mabel, F, Dau, S, 20 July 1872, 28, Ont., Irish, Canadian, Eng. Brown, William, M, Son, S, 11 March, 1879, 22, Ont., Irish, Canadian, Eng., Painter. He died 23 June 1901 in Wyoming, Lambton Co., Ontario but I have not been able to find his burial site in that area of Lambton. Elizabeth died 22 April 1901 in Lambton Co., Ontario, Canada a few months before him. Brown Elizabeth, F, Apr 22, 1901, 57, #014724, Broke St., Married, Housewife, born Co. of Lambton, Heart disease 1 day, Dr. Brodie, Episc. Dr. Brodie, Apr 25, 1901. Schedule C.
Jeremiah Brown, June 23, 1901, #011728, pg. 357 to 358.  Brown, Jeremiah, M, June 23, 1901, age 64, #011728, Brooke. H. Carpenter, M, born Ontario, Cause of Death, Urinary Fistula 6 mos., D. Brodie, Anglican, Dr. Brodie, July 12, 1901. George Edward Brown was born 31 March 1869 in Wyoming and died there on 28 April, 1936 in Wyoming and is buried in the Wyoming cemetery there with his wife Annie Graham. Annie was born 5 May, 1869 in Kent Co., Ontario and died 7 Oct. 1942 in Wyoming. 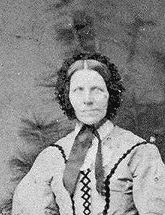 She was the daughter of Thomas N. Graham (1836-before 1910) and Sarah Hill (11843 to 1893). Thomas’s father was Thomas W. Graham (1804-1877) and Ann Powley (1807-1886). Ann Powley’s parents were William Berrit Powley (1775-1857) and Elizabeth Hoffman (1780-1880). The Grahams were a large family. George and Annie Brown’s Tombstone in the Wyoming Cemetery in Wyoming, ON, writer’s visit in 2014. George appears in the 1881, 1891 and 1901 census living with his parents Jeremiah and Elizabeth Brown and siblings. They are in Wyoming, Lambton West, Ontario. See the census above for these years under the parents, there you will find more detail. In 1911 George and Annie are living in Wyoming, Lambton West, Ontario with a large family and sister Mabel. Line 7, 79, 79, Brown, George B12-28-29, M, Head, M, March 1868, 43, born Ontario, Irish, Canadian, Episcopal. 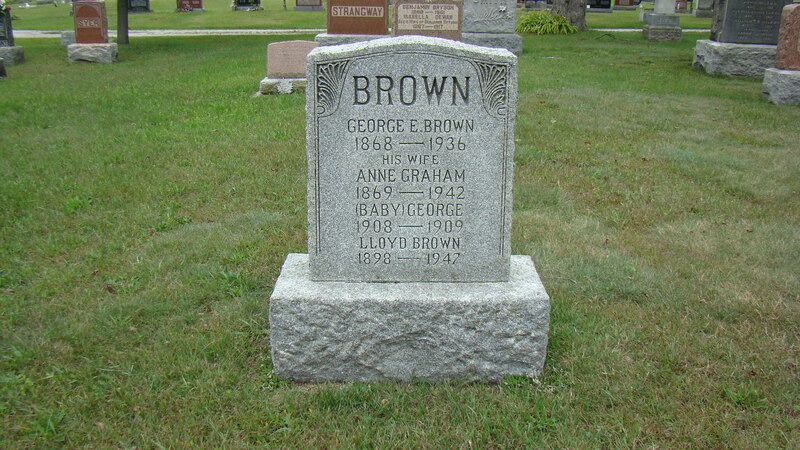 Brown, Annie, F, Wife, M, Aug 1869, 42, Ontario, Irish, Canadian, Episcopal. Brown, Homer, M, Son, S, [July] 1899, 16, US, Irish, Canadian. Brown, Newton, M, son, S, July 1896, 15, US, 1900, Irish, Canadian. Brown, Lloyd, M, son, S, June 1898, 13, US, ‘ Brown, Winston, M, son, S, Dec 1900, 10, Ontario. Brown, Carrol, M, Son, S, Nov 1903, 7, Ontario. Brown, Mabel, F, Sister, S, July 1873, 37, Ontario. Source: George Brown Family, 1921 Canadian Census, Wyoming Village, Lambton Co., Ontario, District 96, ED#61, page 1, enumerated by Andrew B. Leggott. page 1, line 49, Brown, George, Wyoming, Wyoming, O, N, W, P6, S, Head, M2, M (53) parents born Ontario, parents born Ontario, Canadian, English, yes, no, Ch of Eng., yes, yes, carpenter, automobiles own shop, Brown, Annie, wife, F, M, 52, born Ontario, parents born Ontario, Canadian, English, yes, no, Ch of Eng, yes, yes, none. page 2 – Line 1, Brown, Carrol, Wyoming, Wyoming, son, M, S, 17, born Ontario, Canadian, English, yes, no, Ch of E., yes, yes, painter, father’s shop, $400, M, 16. Brown, Harriett, daughter, F, S, 8, born Ontario, Canadian, English, yes, no, Ch of Eg., yes, yes, student. Homer George Brown he was born 23 December, 1894 in Detroit, Wayne Co., Michigan, USA. He married on the 17th of July 1917 (per Michigan marriage records) to Gladys Bedard born 1896 in Courtleight, Ontario. The marriage took place in Royal Oak, Oakland, Michigan. He died before 1953 in Toronto. I am not finding Courtleight but I have found a Courtleigh Square and street or a Courtleigh in Brampton. According to my cousin’s family tree, Homer and Gladys had about 4 children: Lucille, Eugene, a 2nd Eugene and Lorraine. Source: Homer Brown Family, 1921 Canadian Census, Toronto, York East, Ontario, page 19, enumerated by a Percy Alan Richards. Line 4, 56, Brown, Homer J. 72, Whaler Ave, Ward 8, R, 10, S, Brick 3, Head, M, M, 23, born USA, parents born Ontario, 1902, Canada, English, yes, no, Roman Catholic, yes, yes, Clerical Work, office, $1900. Brown, Gladys R, 72, Whaler Ave, Ward 8, wife, F, M, 22, born Ontario, parents born Ontario,, Canada, French, yes, no, Roman Catholic, yes, yes. Newton Graham Brown was born 13 May,1896 in Detroit, Michigan and died about 15 April, 1947. He married on 17 June, 1922 in Lambton Co., Ontario to Mabel Olive Saunders who was born 15 May, 1904 and died 15 July, 1992 in Blind River, Ontario. Mabel and Newton had about 4 children: William, Joanne, James and Terrence. There is a Newton Brown living in Sarnia in the 1921 Canadian census. He is single born about 1896, immigrated in 1900, his occupation is blocking, income $1400, parents born in Ontario. It might be him. Find A Grave has a Newton G. Brown tombstone and memorial at the Froomfield United Cemetery in Lambton Co., Ontario. The dates are 1896 to 1947 and he is the husband of Mabel Brown and another memorial has Mabel O. Brown 1904-1992 wife of Newton. Lloyd Brown who is buried with his parents in the Wyoming Cemetery. He was born on 15 January, 1898 in Detroit, Wayne Co., MIchigan and died in 1947. See tombstone photo above. WInston Harold Brown was born 16 December, 1900 in Wyoming, Ontario and died 27 May, 1984 at the Watford Nursing Home in Watford, Ontario. He married Janetta May White born 30 November, 1905 in Petrolia and died 26 August, 1976 in Petrolia. They were married on the 5th of April 1923 in London, Ontario. (Ontario Marriages 1801-1928). Winston and Janetta had twelve children: Harold, Betty, George, John, and more. There is a Winston Brown living in Detroit in the 1920 U.S. Federal Census, working as a sheet metal work at a motor car company. He is single born about 1901 in Canada and a boarder. Find A Grave has a memorial and tombstone photo for both Winston H. Brown and J. May White at the Watford Cemetery in Lambton Co., Ontario. Dates are 1900-1984. J. Mae White Browns dates are 1905-1976. Carroll Ruskin Brown was born 21 November, 1903 in Wyoming, Ontario and died 13 April, 1976 in Blind River, Ontario. He is buried in the Hillside East Cemetery there. He married on 21 July, 1927 in Stratford, Ontario to Hazel Bella Steward born 1903 and died 1997. Her parents were James Weir Stewart (1868-1941) and Selena Scott (1878-1957). They had at least one child, Doreen Elizabeth who was born 26 December, 1927 in Thessalon, Ontario and died 22 January 2011 in Sudbury, Ontario. She married a Denis Cunningham born 6 March, 1930 in London, Ontario and died 21 August, 2005 in Sudbury, Ontario. He is buried in the Civic Cemetery in Sudbury. Their daughter Doreen Elizabeth 1927-2011, she married a Dennis Cunningham 1930 to 2005. You will find their tombstone at the following link #5 Brown in at the Hillside Cemetery – East Side, Municipality of Blind River Algoma District. George Brown was born about 1908 and died about 1909 in Wyoming, Ontario. He is buried in the Wyoming Cemetery with his parents. Harriet Georgeanne Brown was born about 1913 in Wyoming, Lambton Co., Ontario and died 15 April, 1989 in Kerwood, Ontario. She marred a George Ball. 2. Mabel Brown was born 20 July 1870 in Wyoming, Lambton Co., Ontario and died 19 April 1949 in Pinellas, Florida (per Florida Death Index). She married about 1918 to Frank William Stuver, born 24 January 1867 and died 11 April 1950, Pinellas, Florida (per Florida Death Index). Source: 1940 U.S. Federal Census, Frank Stuver Family, Barberton, Summit Co., Ohio, SD#23, ED#27-2, Sht 5A, enumerated 8 April, 1940 by Eve. L. [Leuiban]. Line 7, Norwood, 102, 90, O, 3800, Stuver, Frank, Head, M, W, 73, M, no, 8, born Ohio, same house, no, no, no, no, V, carpenter, contractor, pw, 0, 0, yes. Stuver, Mabel, wife, F, W, 63, M, no, H2, born Canada, NA, same house, no, no, no, no, H.
3. Herbert Charles Brown was born 22 February 1873 in Lambton, Ontario and his death is unknown. Herbert is not listed in the 1881 nor the 1891 census for Jeremiah and Elizabeth above. 4. Albert Brown was born about 1875 and died after 1935. 5. Frederick William Brown was born 5 March 1877 in Wyoming, Lambton Co., Ontario. his death is unknown. 6. William Brown was born 11 March 1879 in Ontario and died before 1936. As you can see some of the family members fates have not been determined. I did a little research but it is difficult when you don’t have enough information. There is a family tree at Ancestry.com/ca titled the Cunninghams of Sudbury Ontario. It is a family tree that helped me to connect my line to this Brown Family, the George and Esther Brown family line. There are more photographs of the family, documents and sources, I suggest you check it out. I have only shared some of the information that is on the family tree. There is more that could be done but it is time to move on. This entry was posted in Albert Brown, Ameliasburgh, Ball surname, Bedard surname, Florida, Frederick William Brown, Froomfield United Cemetery, George Edward Brown and Annie Graham, Herbert Charles Brown, Hillside East Cemetery, Jeremiah Brown and Elizabeth Steadman, Lambton Co., Mabel Brown and Frank William Stuver, Petrolia Village, Plympton Township, Prince Edward County, Steadman or Stedmond surname, Watford Cemetery, White surname, William Brown, Wyoming, Wyoming Cemetery and tagged Brown Family of Lambton County, Lambton County Genealogy, Migration from Canada to the US, Steadman vs Stedmond surname on October 23, 2015 by BJ MacDonald.